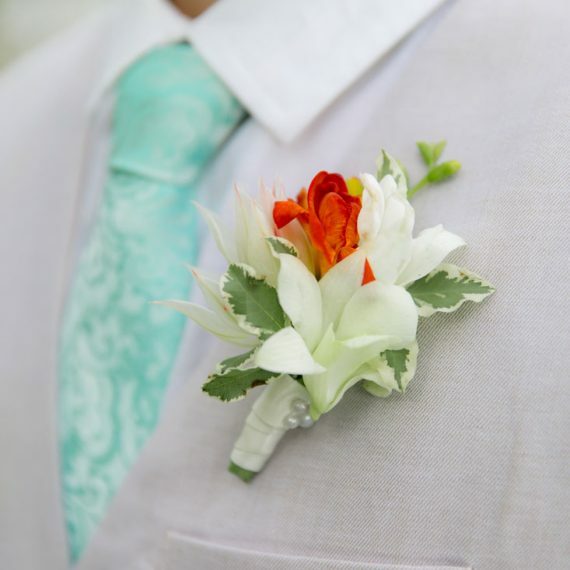 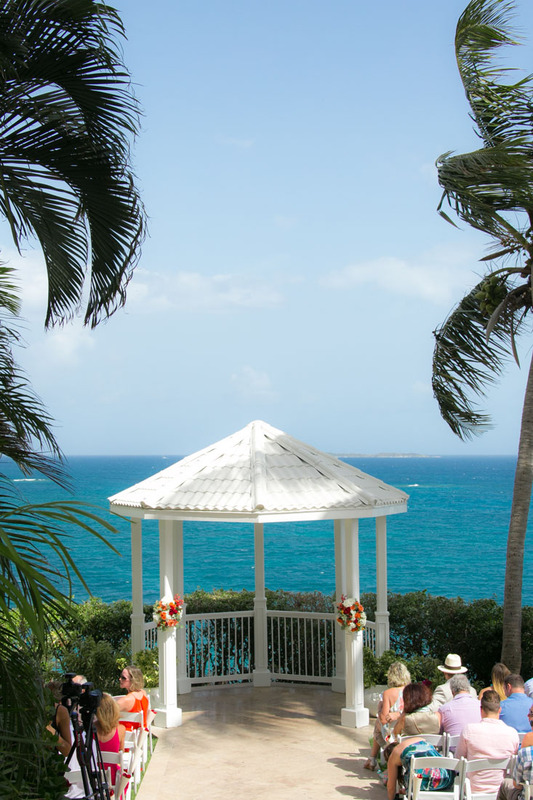 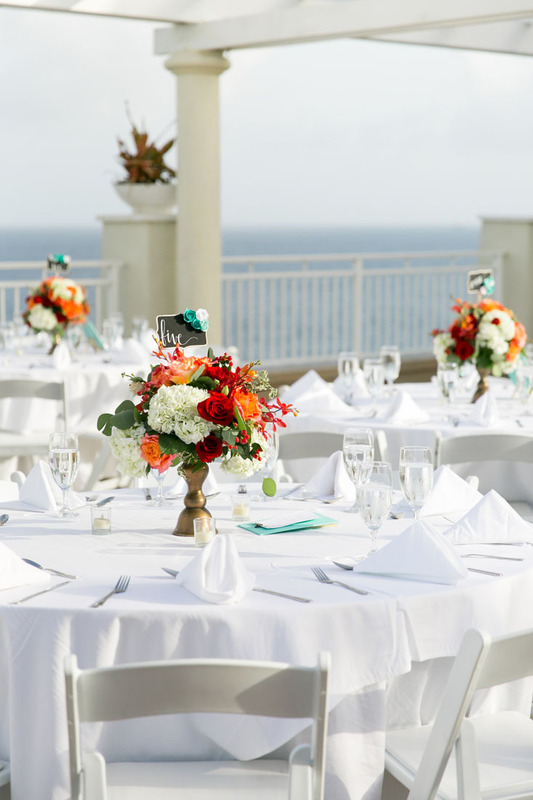 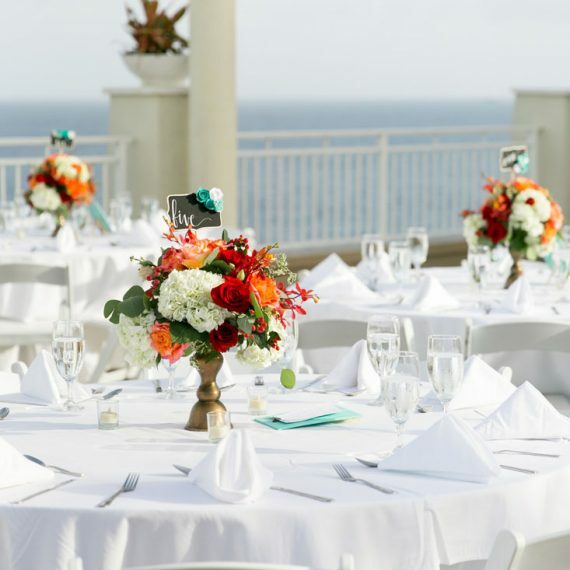 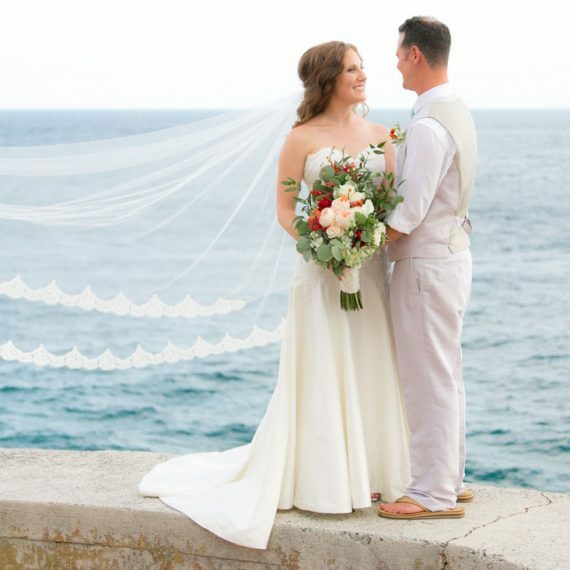 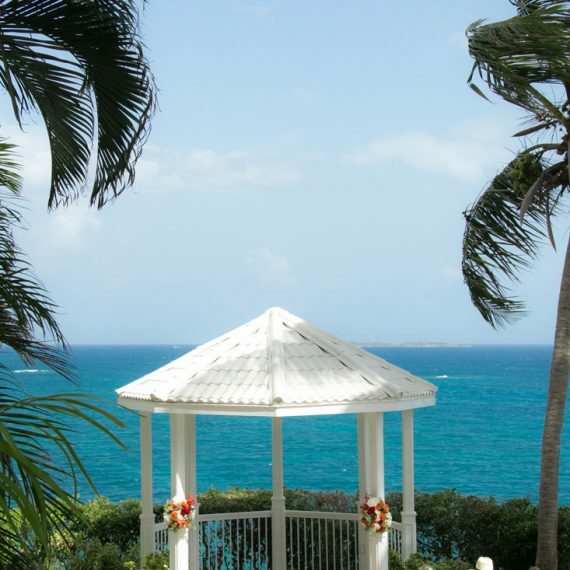 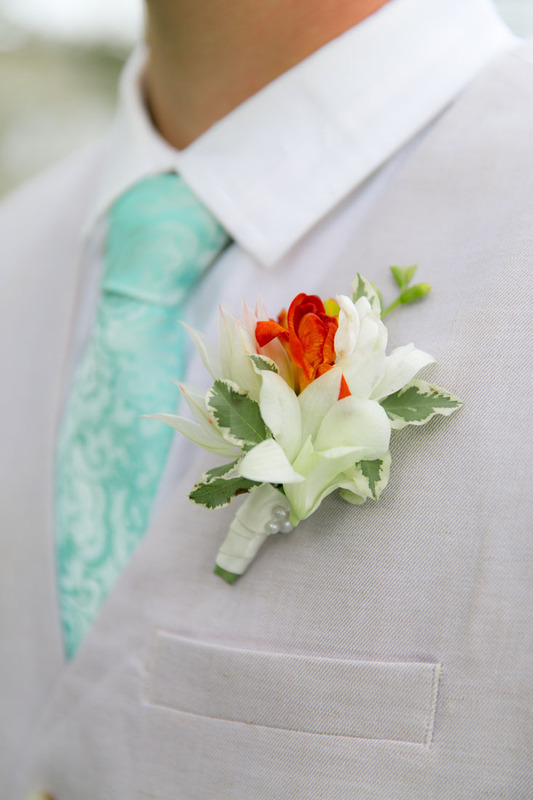 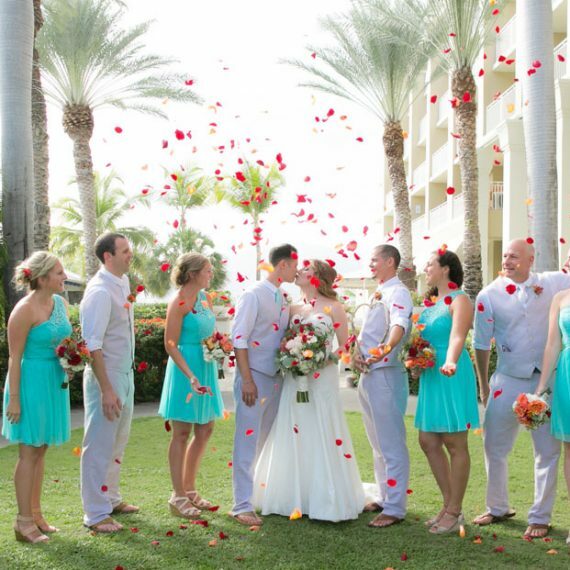 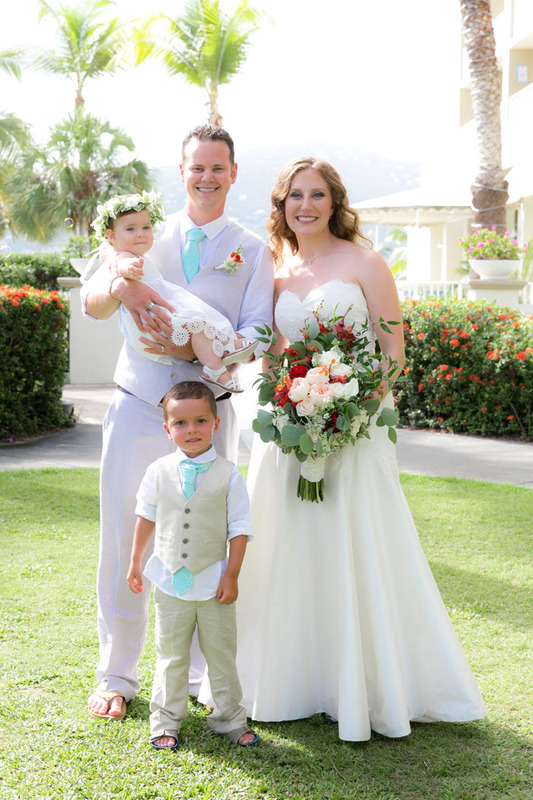 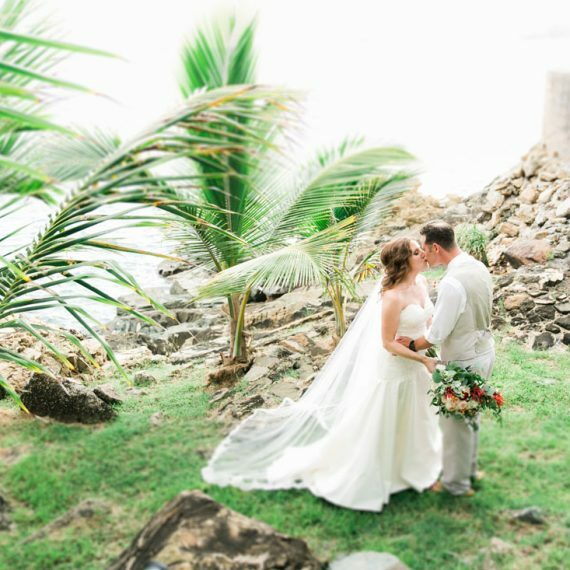 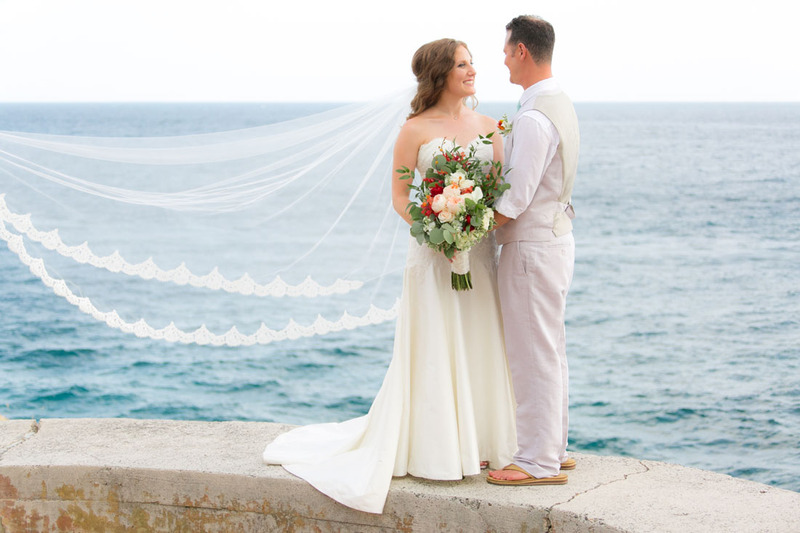 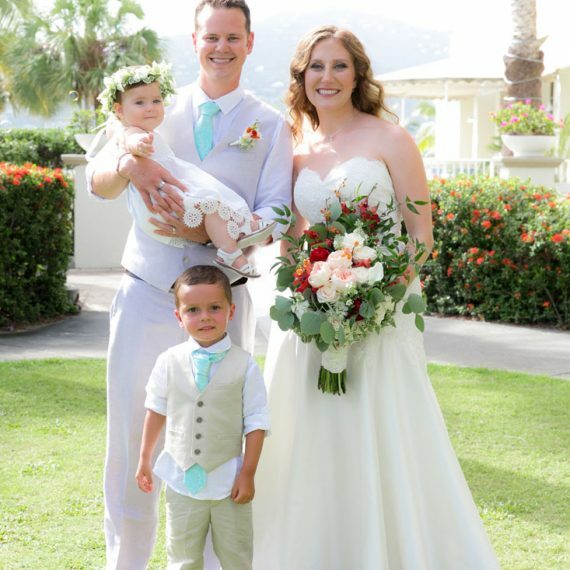 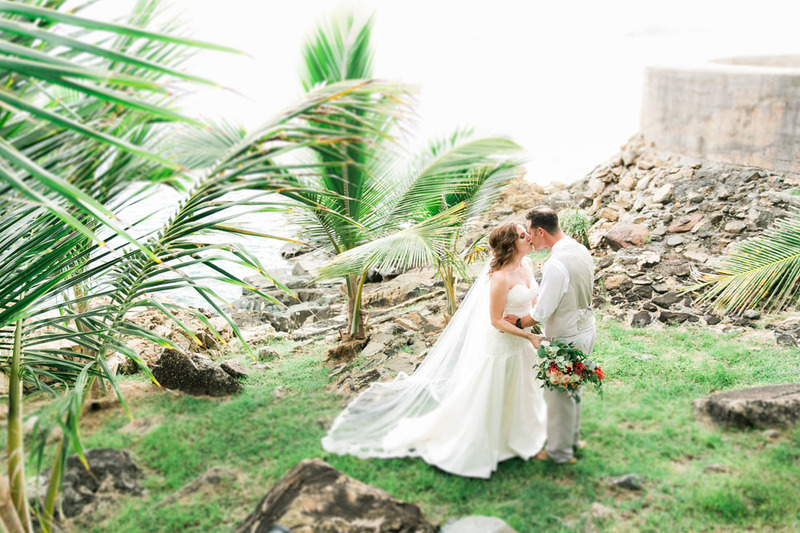 Emily’s dream wedding was a tropical, bright beach wedding at the Marriott Frenchman’s Reef in St. Thomas. 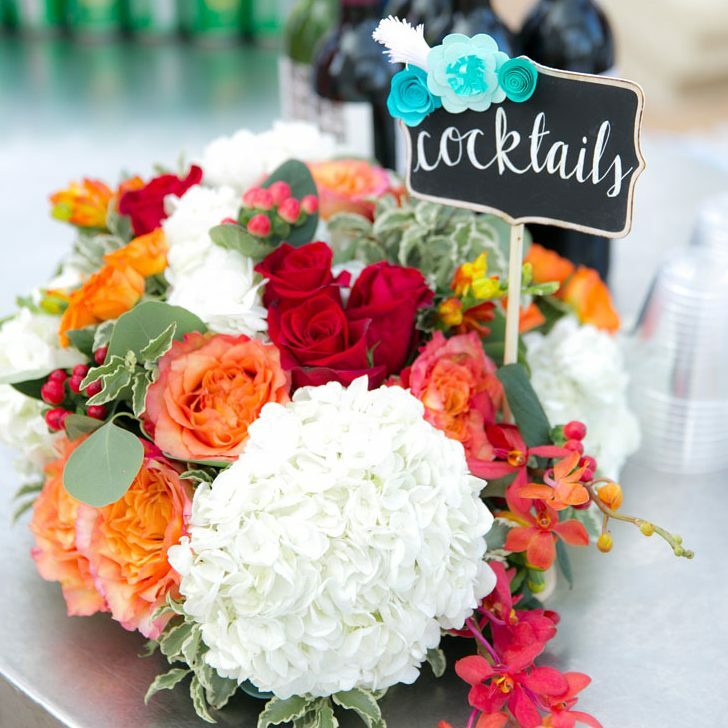 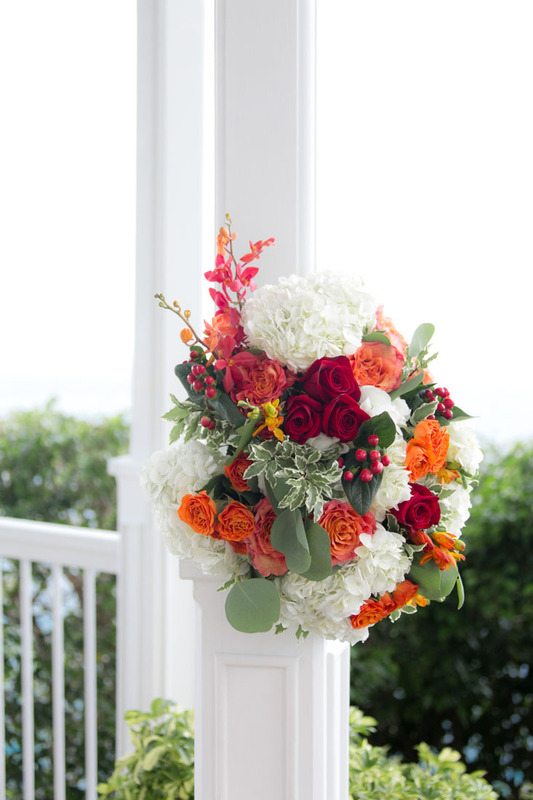 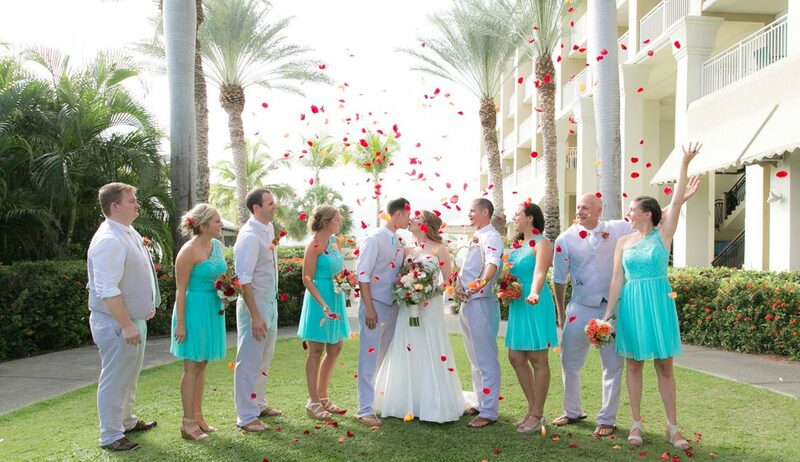 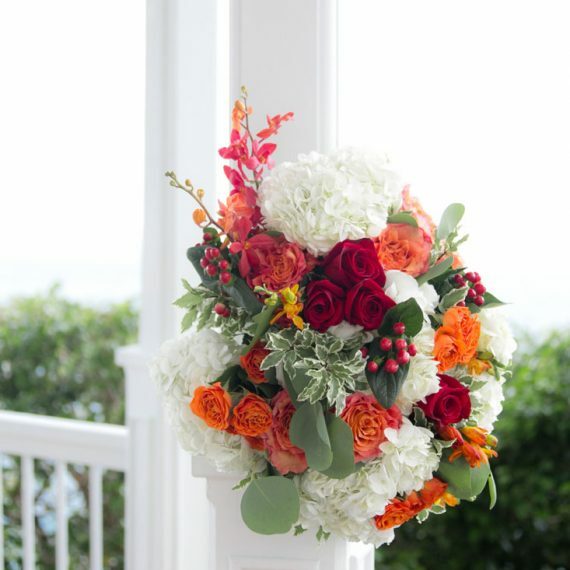 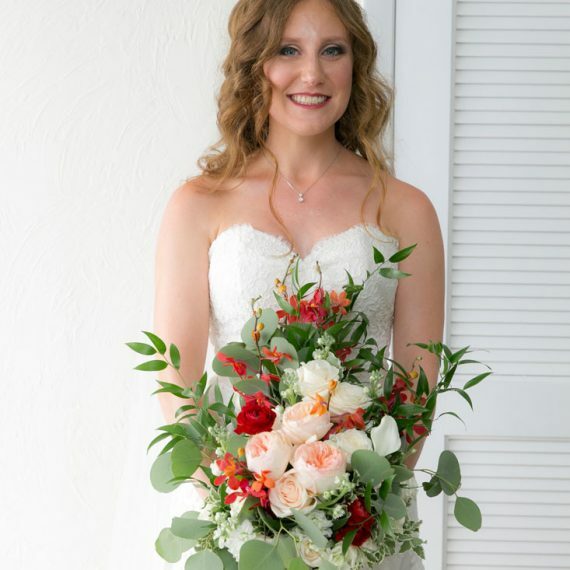 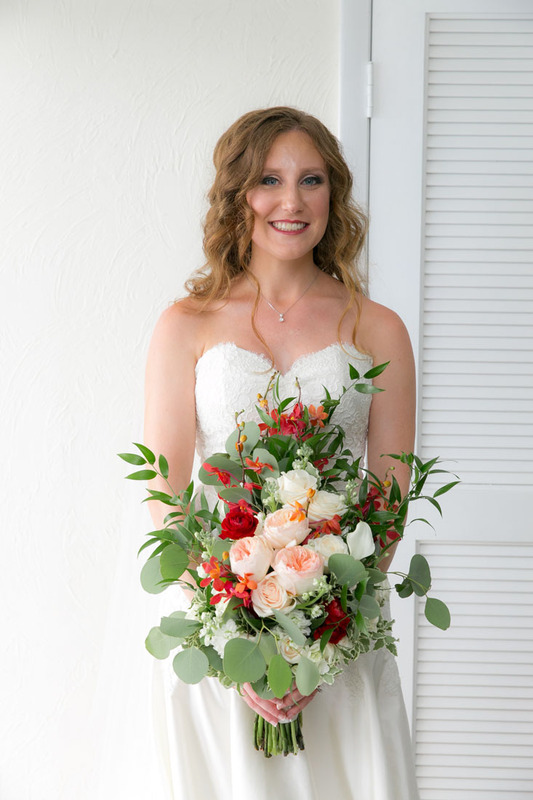 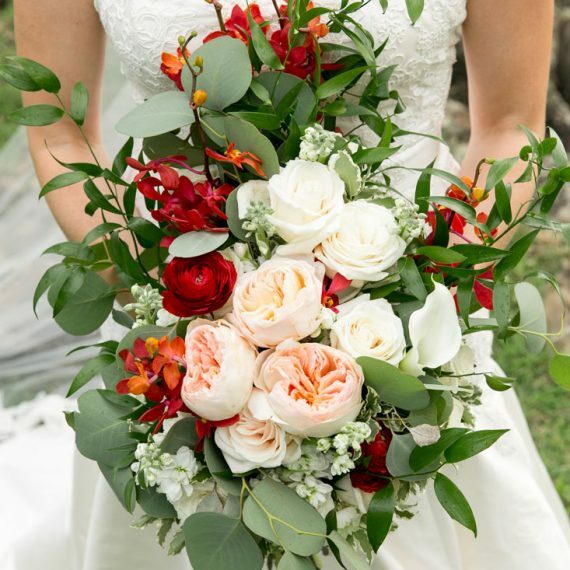 Emily loved the bold, red roses mixed with oranges, greens and yellows which reflect the beauty of a tropical sunset. 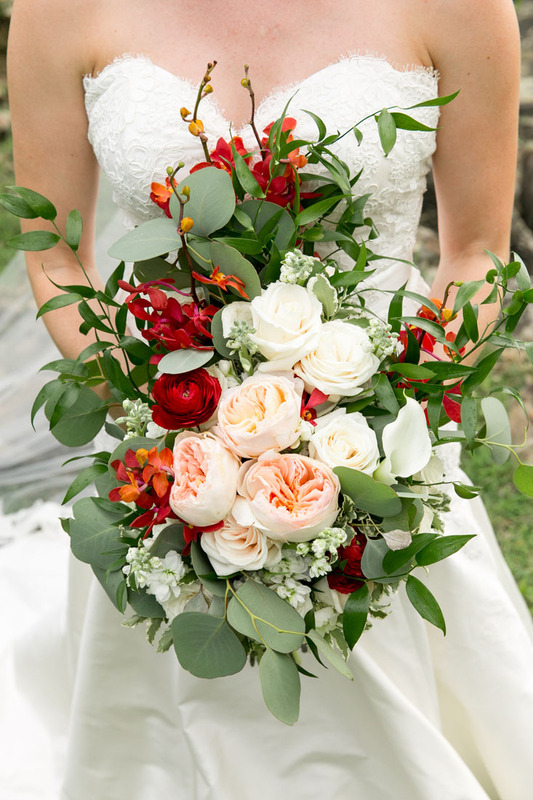 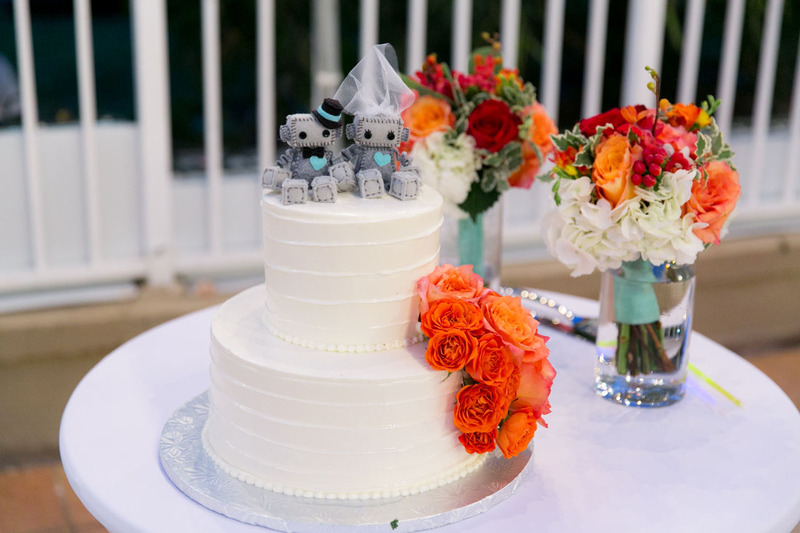 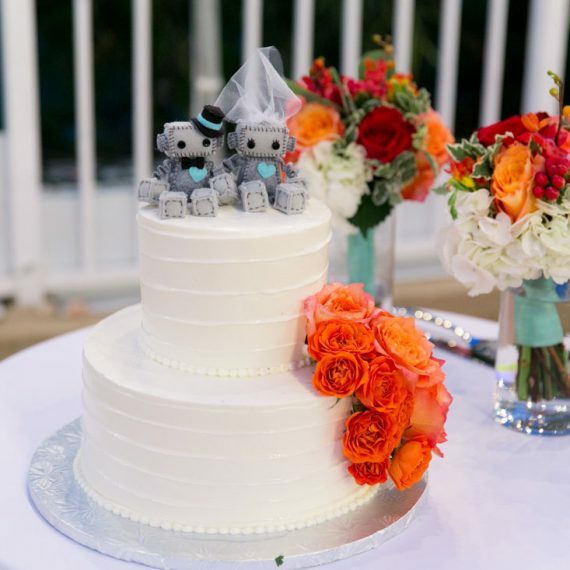 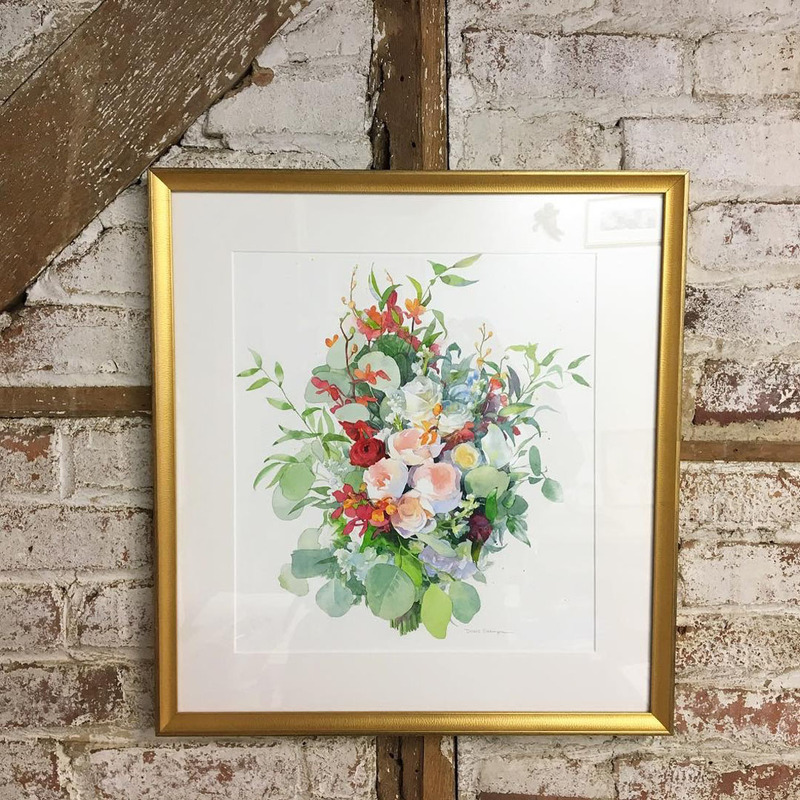 East End Flower shop brought her dream to life with stunning arrangements including a floral cake, bouquets and centerpieces.